Apr 15, 2015, ACCU South Africa partner visited ACCU factory. The two sides have discussed the new modal products and the software that used for the management of various retail stations. 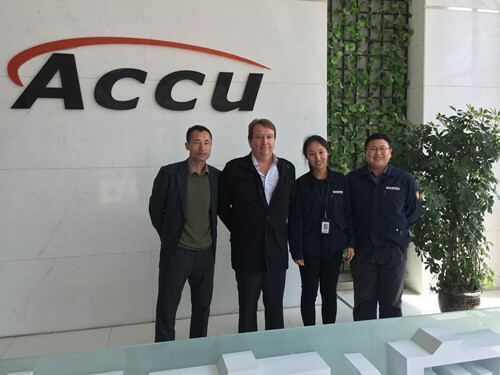 After many years’ cooperation, South Africa partner said that ACCU is a high-tech enterprise that specializing R&D, manufacture and satisfied service. ACCU will try best to provide more efficient products and better service in the future.